The latest Media Create Japanese charts have arrived, bringing with them more positive news of Summer sales for Nintendo. 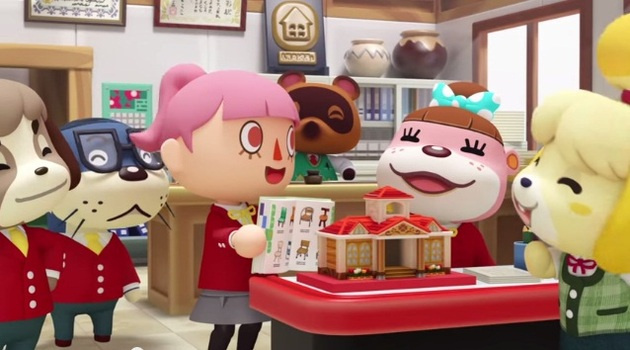 On the software side Animal Crossing: Happy Home Designer stays on top with over 180,000 sales in its second week, pushing it beyond 700,000 retail sales already. The two iterations of Yo-Kai Watch Busters continue to do well on 3DS, while Splatoon is in 3rd place once again - it's now passed half a million retail sales in Japan. Koei Tecmo released two new 3DS games to little success, however; the results are below with lifetime sales in brackets. There's positive news in the hardware stakes, too. The New 3DS LL (XL) is still well ahead of its rivals despite a dip following its Happy Home Designer boost last week, while the Wii U actually gained sales to close the gap on the PS4. The results, with last week's sales in brackets, are below. Positive sales for Nintendo, with the top four (bringing Rhythm Tengoku into the reckoning) being long-running successes on Wii U and 3DS. New 3DS LL outsold all other 3DS models combined by 3x. Vita TV sold 2x more than XB1 — which combined to be less than the (old) 3DS LL. Not bad. At least Nintedo is holding down the fort in the motherland. Does this mean Devils 3rd flopped? Week after week I'm left wondering, what are people buying the PS4 for? Because the answer doesn't seem to be games. Xboner sales back to 200! I sense a comeback! In all seriousness, AC:HHD is doing pretty well for a game that was hammered during E3. Not like Metroid Prime Federation Force, but still unwanted, at least here in 'Merica. Will be interesting to see if it gets anywhere near 1 mil the US. Best decision I ever made, choosing the new 3DS XL over the smaller model, even though those SNES coloured face buttons were a hurdle to overcome! I am not even sure why Microsoft bothered to release the Xbox One in Japan; it is being outsold 90 to 1 by the PlayStation 4. The Xbox 360 did a shy over 1.5 million, which is pretty good by their standards though, but this time round is simply awful in every conceivable manner. FE sold poorly......Why can't it reach a million already? Animal Crossing New Leaf: Show me another game that's selling 6000 copies per week at retail pretty much exactly three years after its release. Those figures are looking quite decent for Nintendo this week. It still surprises me just how popular Happy Home Designer is in Japan, and it's great to still see Splatoon that high up the charts. @Artwark Hmm..maybe it's selling better digitally because people don't want to choose their side when they buy the game? @Cyber-BLP-- I report them if there's any interesting movement from a Nintendo perspective, but to be honest it's been pretty uneventful on that score in the last couple of weeks. Good for Nintendo, but let's be honest: these numbers are brutal. 20th place is selling around 3,500 units? On debut? Yeesh. @JaxonH Perfect timing. I was just wondering if the Wii U is seen as a big a flop in Japan as it is in the US and EU? The X1 certainly isn't trouncing it, and it seems to consistently be a close second to the PS4. Not that the PS4 is a great success to be measured by, but is the feeling in Japan more that home consoles are dead rather than Nitneod screwed up w/ the Wii U like we get in the west? Game wise Wii U seems at least even w/ PS4, no? Splatoon! Half as good as Mario Kart, 10x better than Yoshi. Seems good to me for a new IP. Where's SSB4U? Did the 3DS version drink it's milkshake in Japan? @ryando - I was thinking the same thing. One game in the top twenty whereas the Wii U can boast of three. @Gerbwmu You have to remember Devil's Third is an Amazon-exclusive in Japan. So, to get that info, you have to find it on Amazon.jp's sales charts. It still makes me sad seeing HHD up there. We can't get a wiiU AC game, or perhaps a dlc expansion to new leaf, but oh look here's a spin off game(that would have made a good addition to an expansion) and it's flying off the shelves. @Peek-a-boo most if not all of those XB1 sales are from Kadena Air Base in Okinawa. @Cyber-BLP-- Except they are in the UK charts, with Splatoon (27), Yoshi's Wooly World (29), Smash Bros (34) and Mario Kart 8(40). And then there's also the LEGO games and Skylanders too. They arent on top, which is to be suspected, but they're still hanging in there. Never thought Rhythm Heaven was so popular. I wonder if AC is selling for brand name alone or not. @mike_intv Wrong. Vita sold almost 70x more than Xbox One (you took the numbers of the Playstation Vita TV) and almost 1.8x more than the New 3DS, which is surprising if you ask me. @XCWarrior I don't think HHD took that much of a hit in E3 hate. That goes to amiibo Festival. Now, had HHD not been revealed prior to E3, then yeah it probably would have gotten a ton of hate. 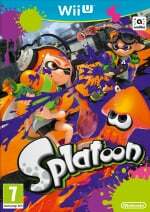 Nice to see Splatoon sell 500k in Japan! Inching closer to 2 million. @DiscoGentleman I wasn't so much looking as it as a "who's better" perspective, more as a general perception. I know in the UK being a Wii U owner is the equivalent of having leprosy, and in the US it's like having chlamydia, nobody's sure exactly what it is, but they know they don't want it. If you're in Japan and you invite a friend over to play on the Wii U do you get a simple "ok", an inquisitive look, or a jeering sneer? Thanks. That was an unintentional error. I have corrected the post. Great to see Splatoon up there! AC:HHD and YW is still beasting. Hang in there FE:Fates! Wii U increase again, it's kind of surprising to see it in upward trend lately, although it's synonimous with Splatoon. Next week will probably drop a little though. Decent result for Nintendo overall. Nobunaga's Ambition 2? Awesome! Too bad there's no chance of it coming to U.S.
@Artwark Just because it doesnt hit a million in japan doesn't mean it sold poorly. 250k is pretty good fro any 3ds game sold in japan. Its almost used as the benchmark to localize a 3ds game if sold that much. It's actually selling quite well if you ask me. Wow and at #9 too. I don't get why Tecmo Koei would be hesitant in releasing their latest 3DS games internationally considering how poorly they're selling in Japan (as least sales appear to be quite low considering that they are new releases). I would have bought Samurai Warriors 3 on day 1 for 3DS if it were released as a retail copy. I'm not paying $60 for a download-only game (with around +$100 of day 1 DLC!). Same goes to that new Maiden game and the upcoming Senran Kagura sequel (which is apparently download-only, even in Europe). People will buy and play anything these days. They could release Animal Crossing anything here in the US and it will sell good as well - AC seems to be the game that bridges the age gap people of all ages seem to love it . @Yorumi So you want City Folk again? @ThomasBW84 Yeah the UK charts are very disappointing! Call of Duty, FIFA and GTA ALWAYS stays on the top!! I don't even bother to Google 'GFK chart track' anymore to see Mondays chart update! @Artwark What are you talking about? FE Fates is selling better than FE Awakening did in Japan. FEA total sales as of December 2014 was 1.79m copies. Awakening never sold 1m in japan. Fates is closing in on the 0.5m mark, so this game is on track to beat out Awakening in Japan. This game will hit a million once it's released globally though. You need to remember Fire Emblem is a niche franchise, but maybe awakening changed that, who knows. This game is going to outsell both the global releases of the Wii and GCN versions shortly (in japan alone). @DiscoGentleman: trust me they are not doing well financially, i'm a stockholder and most other nintendo stockholders I know are very disappointed in Nintendo stocks! the earnings you parrot are so miniscule that the dividends for the stocks are so laughable. in short, they are not profiting, they don't have unrestricted retained earnings sufficient enough to boost its dividends to it stockholders, they are merely breaking even. to make matters worse the so called earning were due to currency fluctuations of the yen. @mike_intv I haven't seen a 3DS in stores in years, though. Just the XL that's a few bucks less than the NEW XL, and the 2DS which some people might think is a completely different system. Still good numbers, though! @XCWarrior that was amiibo Festival, HHD was moderately received. @manu0 that's due to influx thanks to the popularity of HHD right now, it's sparking older games. City Folk did that with Wild World too. @crimsontadpoles it's a series that ALWAYS does well in Japan. Wild World, the highest selling in the series had roughly 50% sales from Japan alone! New Leaf has nearly the same ratio! It's a game that is loved by Japanese players more than any other country. @Yorumi you've clearly never played this game. I'm responsible for 2 of those sales, and this game is FAR more packed than people are giving it credit for! Easily a 100+ hour game!! @MajorasMax Trust me, you're going to LOVE IT!! It's an awesome game! I'm not just saying that from what others say, I have TWO copies, and play it everyday, it's AWESOME!!! It's also a good thing I studied Japanese, comes in handy right now! @sinalefa both most likely. It's an awesome, VERY addictive game (I know from experience playing it since launch), and of course Japan eats Animal Forest stuff up like it's going to stop being produced tomorrow! @Ichiban doubt that, just look how the console version does there versus the handheld. It's BY FAR loved more in its handheld Japanese version than anything else. @Will-75 good, but not great, look at how City Folk bombed in sales in the US, and on a system that is Nintendo's highest selling home console!